Instructions to start using your tuner. 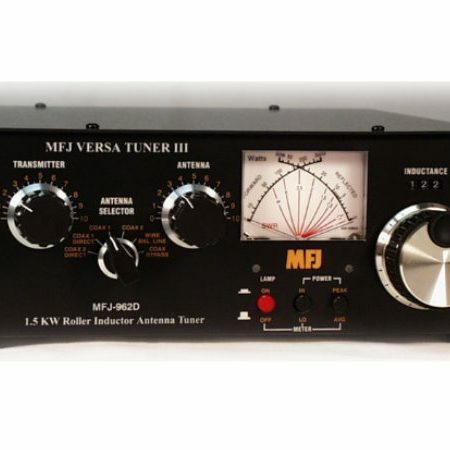 Apply 30 to 50 watts of transmitter power and note SWR show non the meter. the HIGH Z 1 or LOW Z 1 settings showed a lower SWR, try more positions on the same side to see if the SWR is lower. Choose the position among all switch position that shows lowest SWR. Value. Go back and forth between these two controls adjusting them for best match and the lowest available SWR. to the other side of BAYPASS. It possible depending on your antenna and the frequency in use that a good’starting’ match may not be readily apparent (i.e. all starting positions ont he center switch show a somewhat high SWR). same instrictions if this the case. the tuner can damage the unit. danger of contact with high voltage. 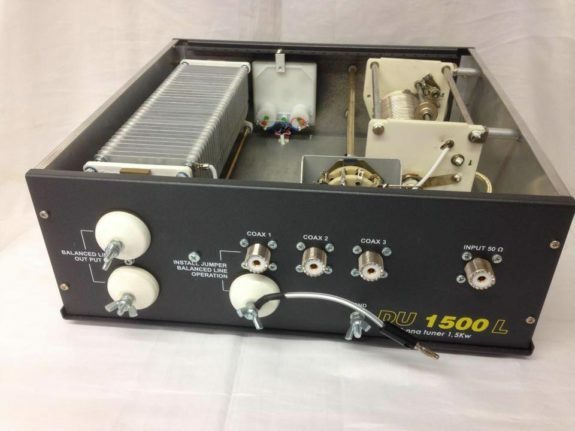 Always be sure that a dummy load or antenna is properly connected when power is applied. Voltages in excess of ratings can occur if no load is connected. Coaxial connector for input from SWL receiver or transmitter. Two feed through ceramic posts for output to RF balanced twin-lead antennas. 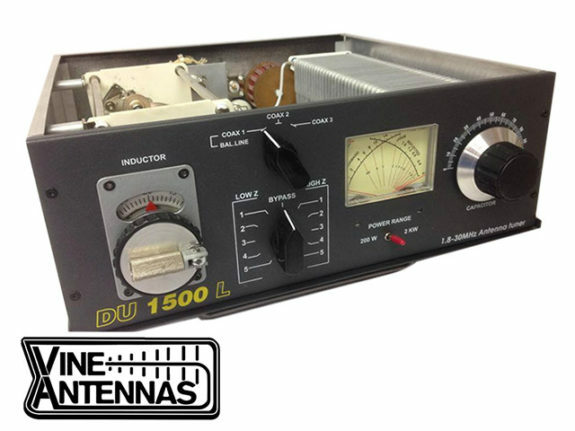 Select a location for the DU 1500 that allows the connectors to be free of any possible contact during operation. operation.Included are descriptions of the fromt panel controls and their functions. This is followeed by instructions for antenna matching and selection,and a brief discourse on antenna systems matching thery. L type matching network.This capacitor has a tuning range of 40-500pF and is continuous tuning with no stops. Arc over the top of this control,to make returning to earlier settings easier and quicker. network has on effect ont he transmission line systems(antennas are fed through directly from the transmitter to the antenna without use of the tuner. )The SWR and power metering remains usable even when this switch is set to BAYPASS. Of the DU 1500 L and correspond to theCOAX1,COAX2,COAX3 connectors. 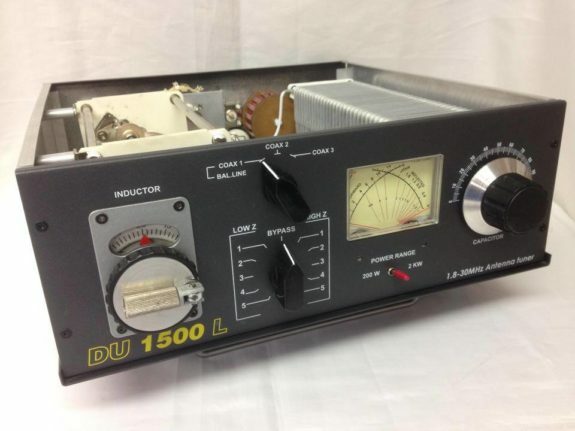 The meter on model DU 1500 L dual crossneedle SWR and wattmeter. Forward power output ismeasured on the right-hand needle,left-hand scale. 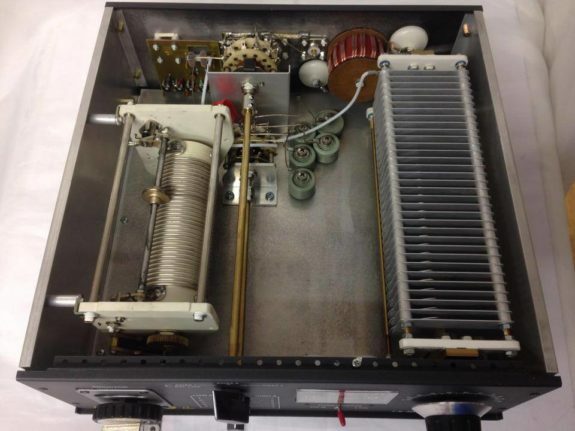 Power output is read in switchable scales of 200 or 2000 watts. Output Matching Range: At least 10:1 SWR,any phase angle. Inductor: 0.2-18 uH silver-plated roller inductor.